Now, I actually have several foundations and setting powders, but what fun is it to review the old stuff. Ahh maybe I will but I will definitely have to mix it up. 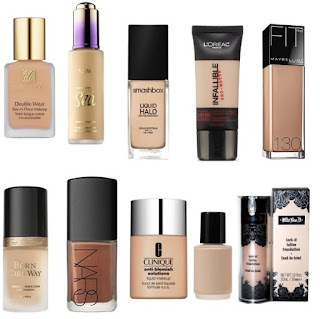 I know there will be some recommendations for some of the higher end makeup brands, and I know I am looking for a holy grail foundation that will last, but... uh... I'm on a budget at this time. Check out www.kaythesoloalliance.com to find out about life changes I am going through honey. I say that to say stay tuned, we are makeup shopping and reviewing. I would love to hear your recommendations for what has worked for my fellow friends and new comers. Leave your comments (recommendations) below and make sure to come back for our reviews.